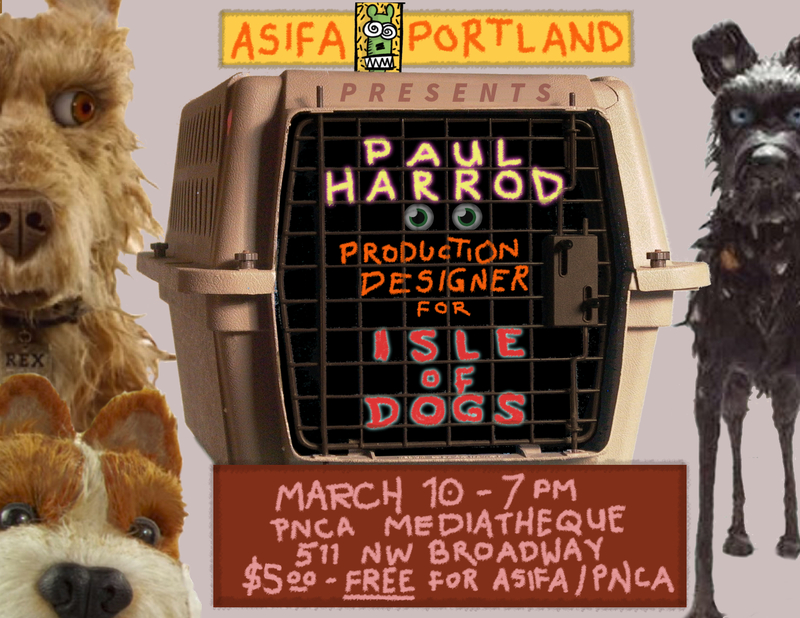 Local animation hero Paul Harrod will entertain and enlighten with his remarkable past of working in film, commercials, music videos and television, most recently as Production Designer for Wes Anderson’s upcoming animated feature Isle of Dogs. From Star Trek films to Pee Wee’s Playhouse and well beyond, Paul has worked to evolve the artful and techical form of the sculpted image on screen for over 30 years, most of them right here in Portland. Tickets are $5.00, general admission, free for ASIFA members and PNCA with ID.